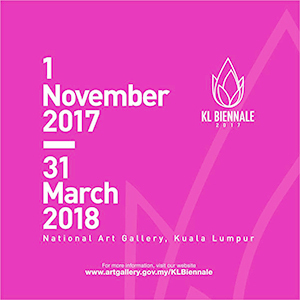 Debut of new work entitled "That Place is the Mind" in THE 1ST KL BIENNALE 2017. Work dimensions: 80" x 120" x 2.5" (203 x 345 x 6 cm), mixed medium on wood panel, 9-in-a-set. That Place is the Mind was developed from a previous work series. It combines specific techniques and materials to construct this new piece. 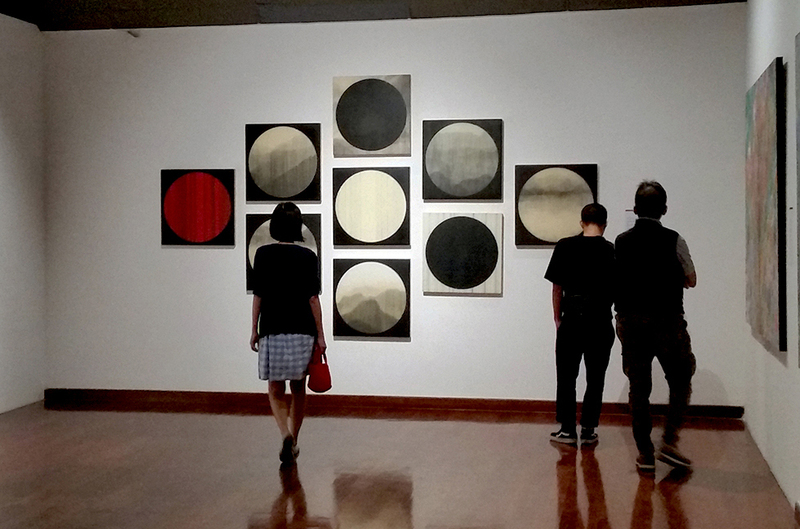 It is a reflection of current ideas and subjects, and a rethinking of the familiar. I use the basic visual element of line to create visual impression. The process can be likened to weaving, each line slow and meticulous until the final image emerges. The sources of inspiration are derived from places I’ve been, places I want to be, and the media-saturated world we live in. These references help me to make connections across reality and imagination. The resulting product is the space in my mind that has come into being through my experience and memory. As a contemporary artist living in the twenty-first century, my work echoes culture and society, giving voice to a culturally diverse and constantly changing environment. Introducing this piece in The 1st KL BIENNALE 2017, I hope to generate curiosities, encourage conversation about the reality we live in and the issues that influence our lives. I invite the audience to engage the work with openness, allowing their imaginations to travel to places yet unknown, as the world of imagination is boundless.